I am a huge lover of pampering and having some down-time to relax. Using a face mask is one of the best ways to achieve instant relaxation and I aways feel as though I have had a mini Spa session when I use one. 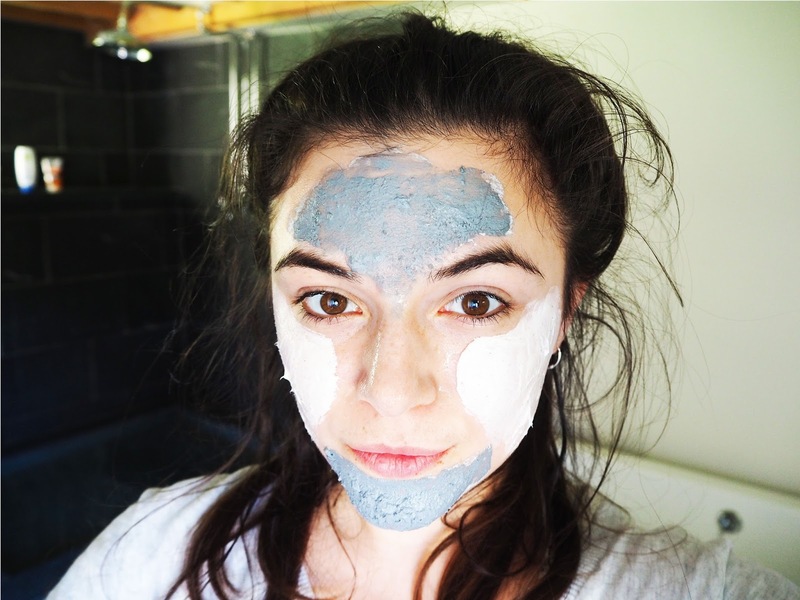 When it comes to picking which face mask to use however, I often just opt for whichever one I fancy, whether its a clay mask, an exfoliating one or a moisturising one. I have heard about multi-masking before but I have never actually given it a try. 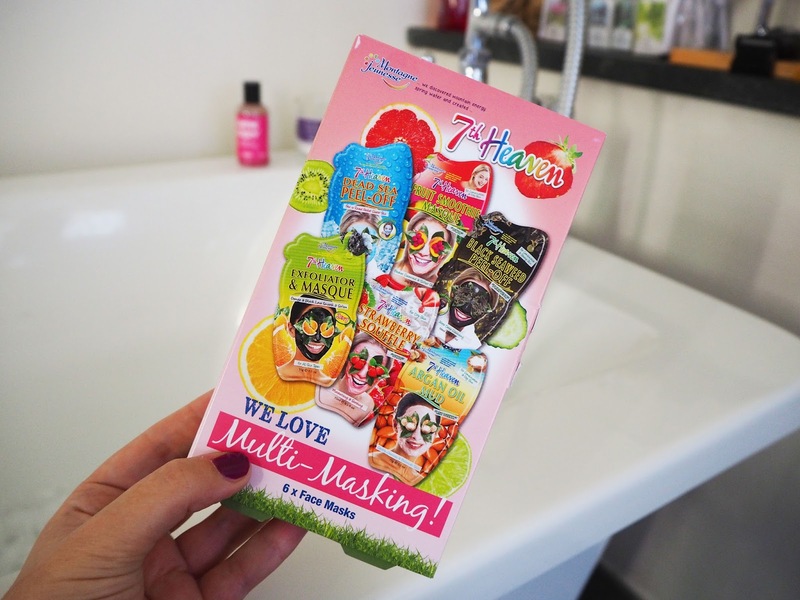 When I was introduced to 7th Heaven however and shown their We Love Multi-Masking Kit* I couldn't wait to try it out and see what I thought. The idea behind multi-masking is that the skin on our faces isn't exactly the same in each part. 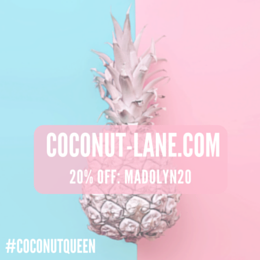 For example, I have a combination skin type whereby my t-zone can become quite oily, my cheeks fairly dry and my forehead and chin a little more prone to spots. Within the 7th Heaven Multi-Masking Kit* there are six different types of Face Mask, each designed to target a different skin problem. When I was away in the Lake District last week (Photo Diaries and day trip posts coming soon) I decided to run my self a nice, hot bubble bath and got stuck into the art of multi-masking whilst reading my book. 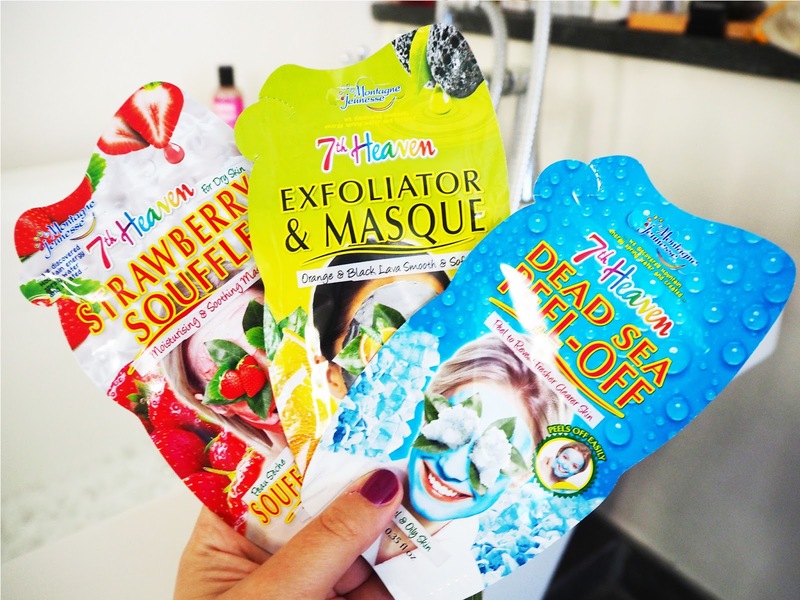 I chose the Strawberry Souffle, a beautifully rich moisture mask to re-hydrate my cheek area. I applied the Exfoliator Masque with Orange and Black Lava on to my forehead and chin. This mask smelt amazing and was really nice for spot and blemish prone areas of the skin. I finally applied the Dead Sea Peel Off mask onto my t-zone area. This is specifically designed towards oily skin. When it comes to removing the mask you simply find the end and slowly peel it off and it left my skin feeling nourished and soft. 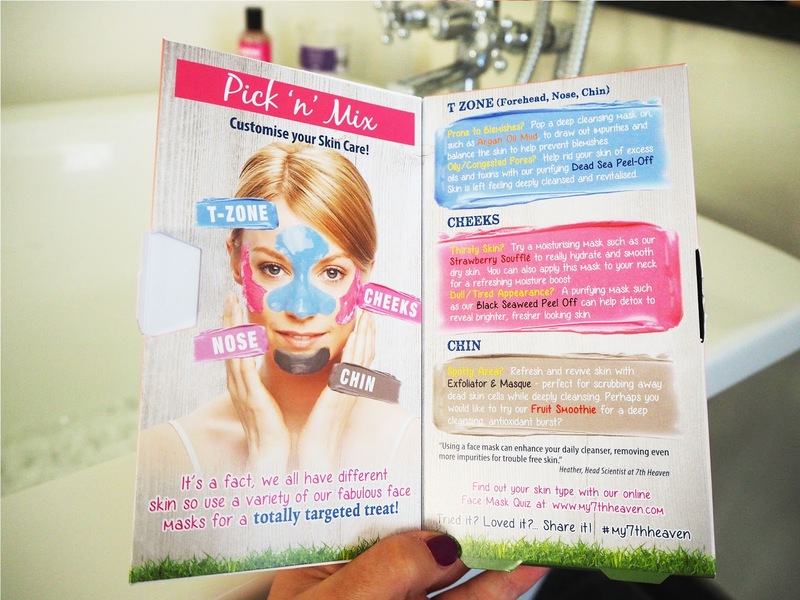 I really enjoyed exploring with the art of multi-masking and would recommend it to anyone who, like me, has a combination skin type, as it allows you to target specific areas and issues with your skin. Have you ever tried the Art of Multi-Masking?